The Art Deco Lounge poster artist series continues this weekend with an appearance by Pat Ryan and Mark Henson. 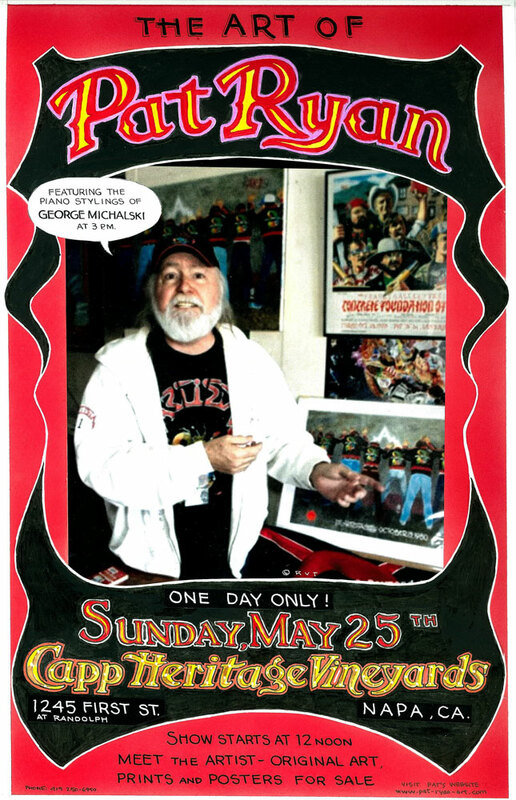 If you’re looking for a fun Sunday getaway, come on up to downtown Napa for a great day of poster art and live music by noted Bay Area pianist George Michalski. The Art Deco Lounge is part of the Capp Heritage Vinyards tasting room, so come on out for a day of wine tasting, live music, and original poster art by two fine artists. It’s free! The Capp Heritage Vineyards tasting room and Art Deco Lounge are located at 1245 1st Street in downtown Napa. The event starts at noon. Brian Bbq’d Brown liked this on Facebook. Nick Siegel liked this on Facebook. Shane Edward Grogg liked this on Facebook. Corey Cate liked this on Facebook.